Check it out! “Gift of a Lifetime: Finding Fulfilling Things in the Unexpected and “Sew the Heart” are now available in all branches of the Baltimore County Library system. lands on two important book lists among notable, well known authors. I am pleased to be one of twelve contributing authors in a new publication titled “Wounded Healers”, published by Women of the Way Ministries. The book will be available in early April 2017 through Amazon.com. Baker and Taylor and NACSCORP will distribute it wholesale to bookstores and university/college bookstores. Join Me! 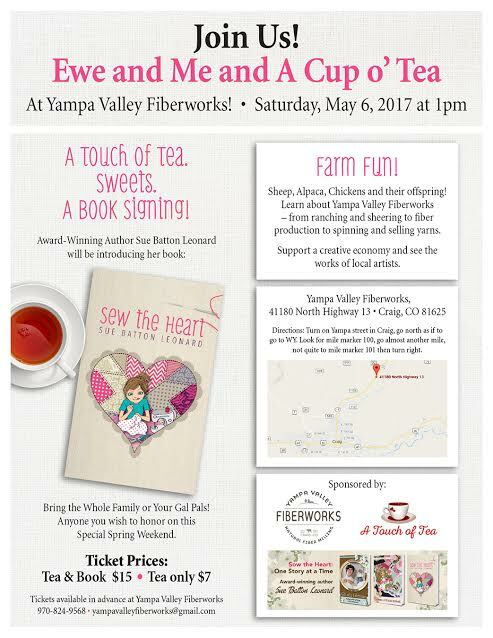 I am pleased to introduce my new fictional novel Sew the Heart at Sew Steamboat, 929 Lincoln Avenue, Steamboat Springs, CO for a book signing and book talk about “What’s at the Heart of the Story“. This book is for anyone who believes in the healing power of women’s friendships and finding one’s true calling in life. Sew the Heart, a fictional story, has arrived! It is available through Amazon and it is being rolled out in retail craft shops across the country. It is currently available at Quilt Vine in Trappe, Maryland and Sew Steamboat in Steamboat Springs, CO. Stay tuned as we continue to add other craft shops where it’s in stock. I am pleased to announce I was a finalist in the House That Built Me writing contest sponsored by the Fuller Center for Housing. Check it out. Marketing Your Book is FUN! 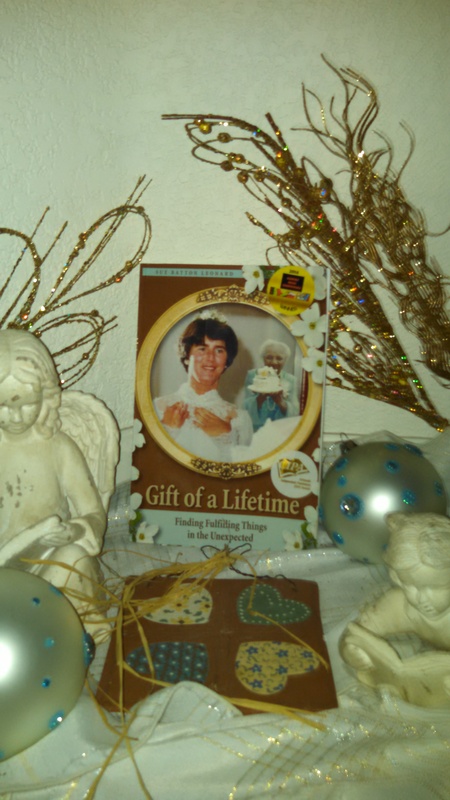 This past Christmas, thanks to the Mickey Barrows Memorial Endowed Fund which “benefits children who are confined to the hospital during the holidays,” copies of Gift of a Lifetime: Finding Fulfilling Things in the Unexpected found their way to families through the Childrens Colorado Foundation in the Denver area. The hope for the initiative is that the book brought some smiles and cheer to faces and encouragement to teen cardiac patients who were hospitalized over the holidays. Monday, June 1, 2015 @ 12:30 pm. Presented by Colorado Independent Publishers Assoc. 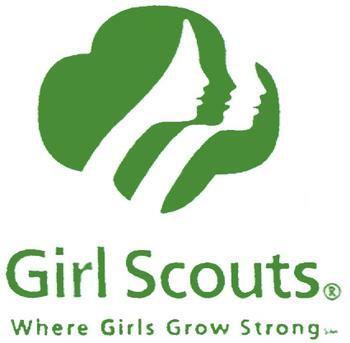 Above: Photo of my lovely afternoon with the Girl Scouts. 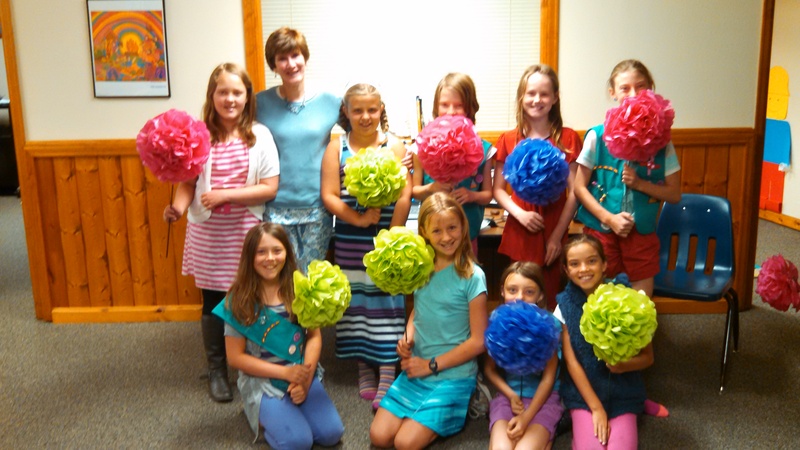 The girls pictured with posey’s I write about in “Paper Flowers” chapter of my memoir. 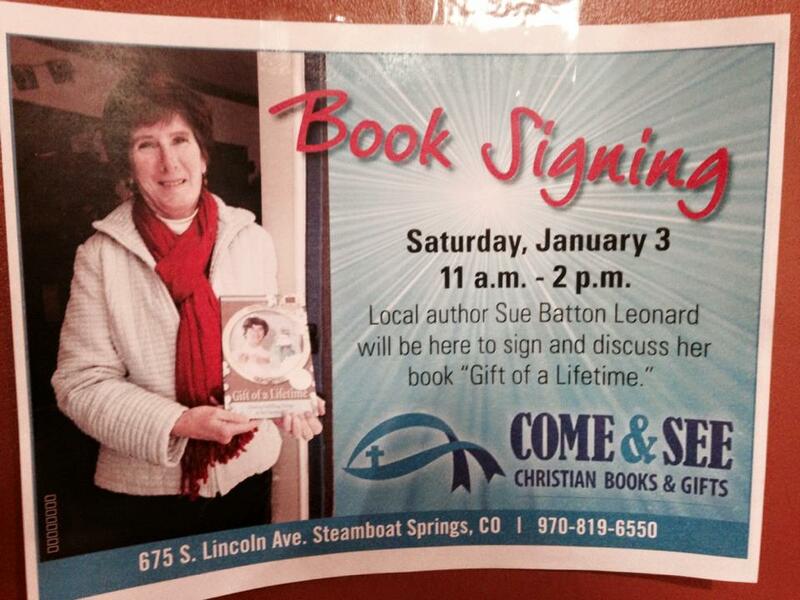 Saturday, January 3rd from 11am to 2pm Award-Winning Author Sue Batton Leonard will be at Come & See Christian Bookstore. Stop in and come and see the only bookstore in Steamboat Springs Colorado where you can get Gift of a Lifetime: Finding Fulfilling Things in the Unexpected. 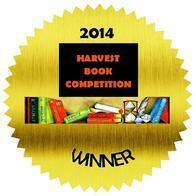 Another book award sticker graces the book cover! Gift of a Lifetime: Finding Fulfilling Things in the Unexpected wins in the Young Adult Category of the 2014 Harvest Book Competition. For more information, please follow this link to the Showcase Magazine associated with the contest. 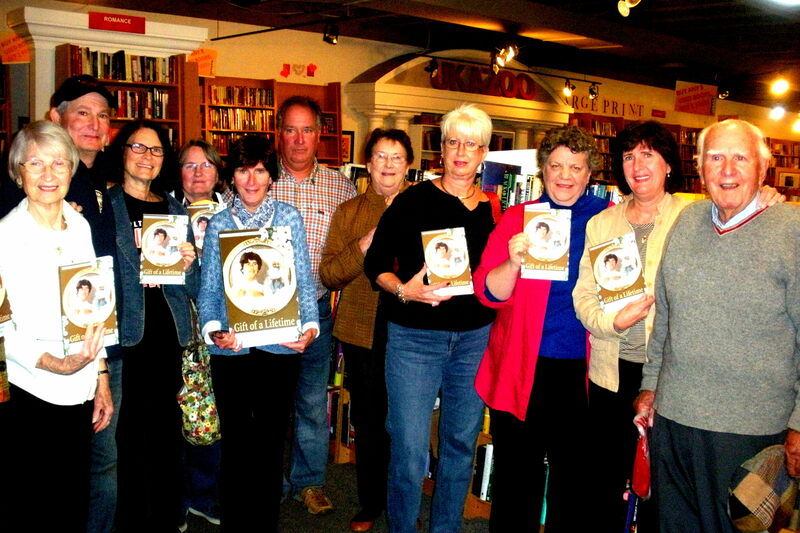 October 21, 2014 Dorchester County, Maryland Book Club will be discussing Gift of a Lifetime: Finding Fulfilling Things in the Unexpected for their October book selection. 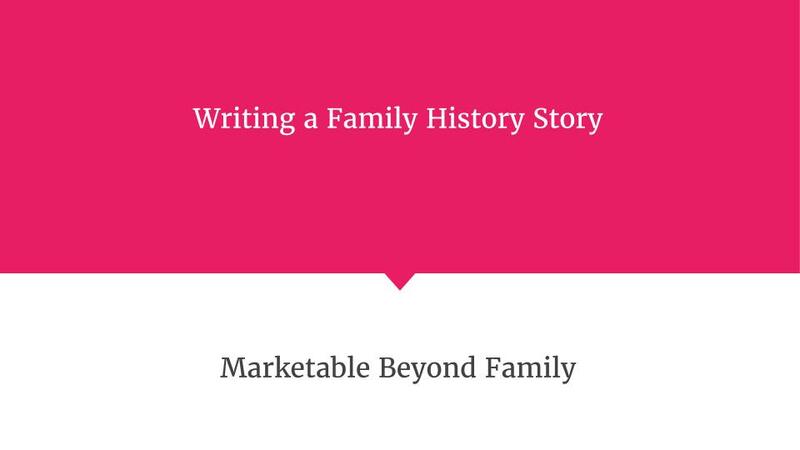 Author Sue Batton Leonard will be present to discuss the book with the book club members. 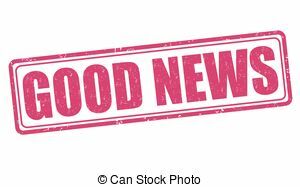 Book Club Selection: The Hayden Public Library in Hayden, Colorado has announced their Women’s Teatime Book Club has chosen “Gift of a Lifetime:Finding Fulfilling Things in the Unexpected” as a summer book selection. 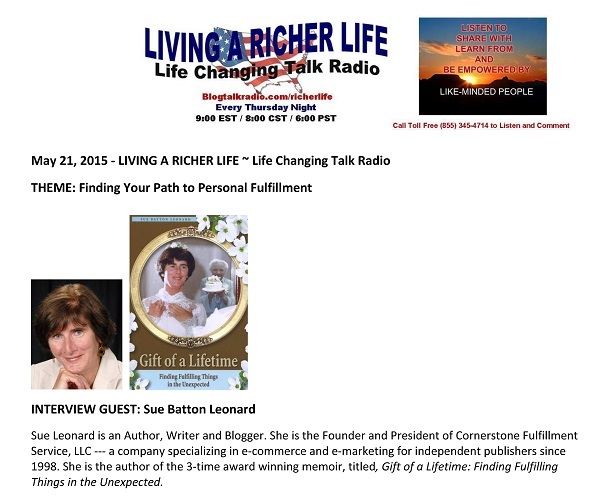 Sue Leonard will be present for an author event. Date to be advised. Tuesday, June 17th: Author book signing and presentation Kiwanis International, Steamboat Springs, Colorado. Will be held at the Steamboat Springs Community Center from noon until 1:00 pm. Open to the public and lunch is available for approximately $7. 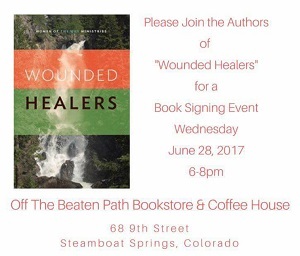 Friday, May 23rd, 2014: Sue Leonard will be signing books at Kneading Hands Therapy on Oak Street in Steamboat Springs, CO from 5 to 7pm. 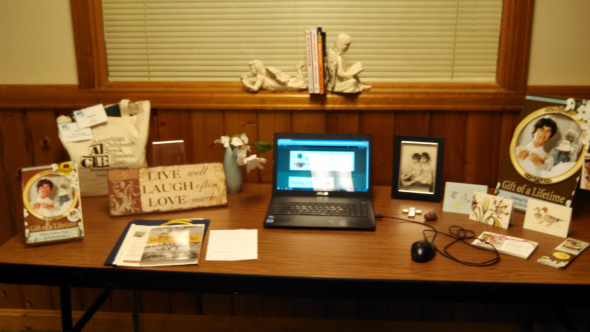 Monday, May 5, 2014 – sponsored by United Methodist Women, United Methodist Church, Oak Street, Steamboat Springs, Colorado. 6 pm. Open to the public and refreshments will be served. Friday, April 4, 2014 – Yampa Valley University Women, 11:30 am – 1 pm. Selbe Apts, Rollingstone Road, Steamboat Springs. Colorado. All are welcome. Soup, salad and bread luncheon is available for $3. 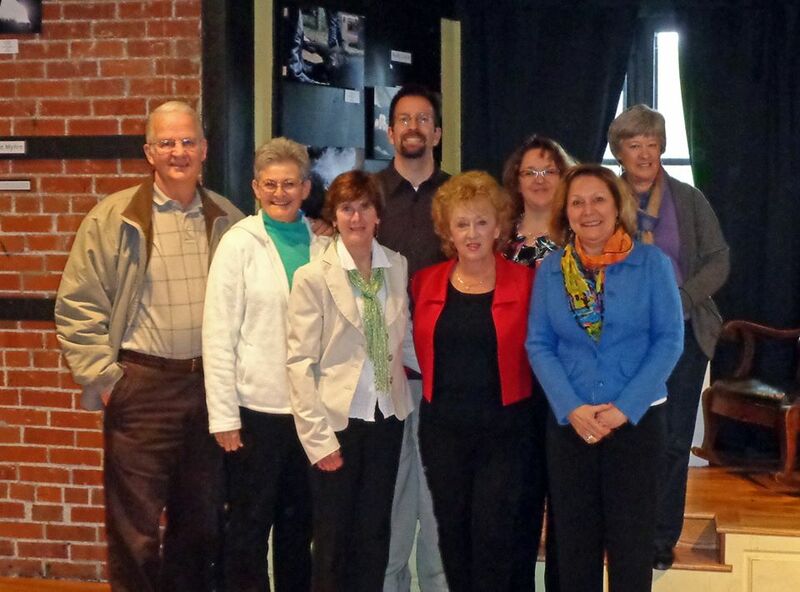 Wednesday, April 2, 2014 Sue Leonard will be speaking with the Young Professionals Network of Steamboat Springs, Colorado about the publishing industry, her group We Write Steamboat and the upcoming World Book Night (4/23/14). Left to Right: Sue Leonard, author Lindsay Eland and Co-Owner of the Bookworm, Nicole Magistro.